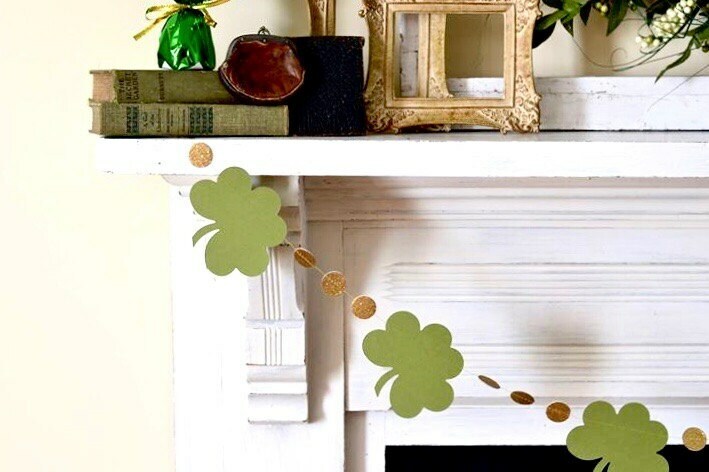 Just a touch of Irish to brighten up your home! 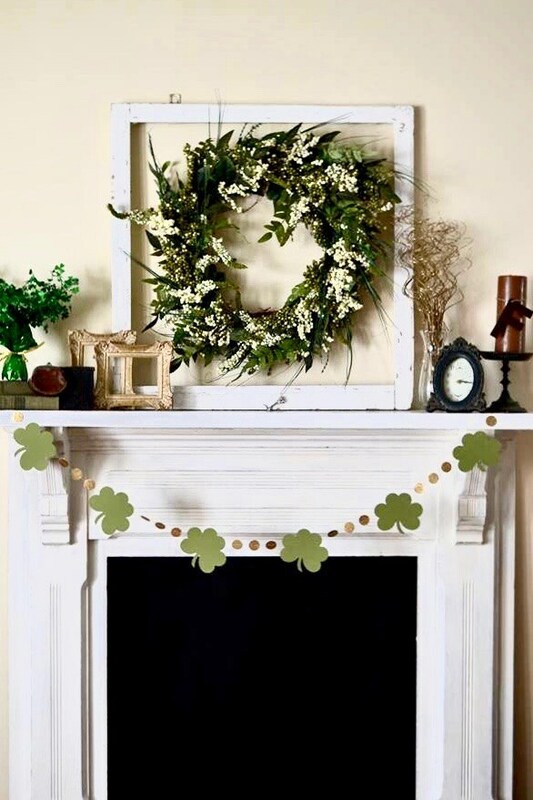 This garland is made using clover green shamrocks that are interspersed with glitter gold circles (gold both sides - which makes the garland reversible!). 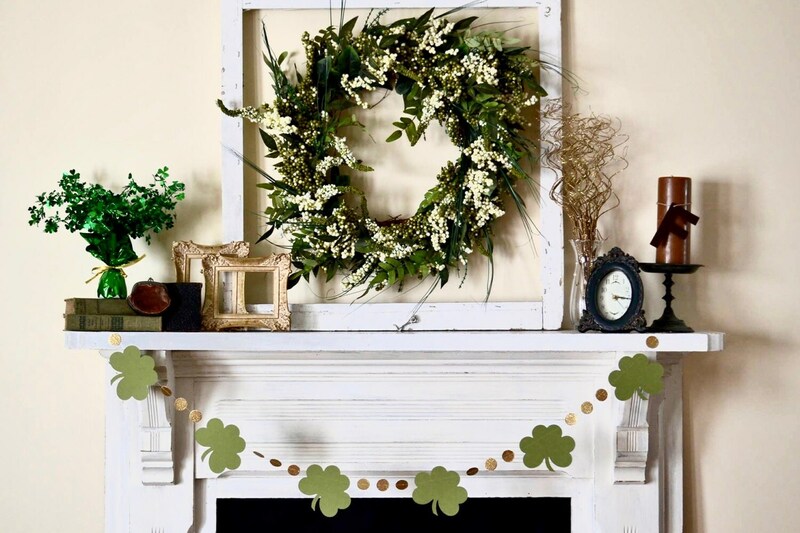 The garland is sewn together with green thread and you can choose from 6-foot, 8-foot, 10-foot, 12-foot or 15-foot lengths. We sewed loops of white ribbon to the ends for ease of hanging. 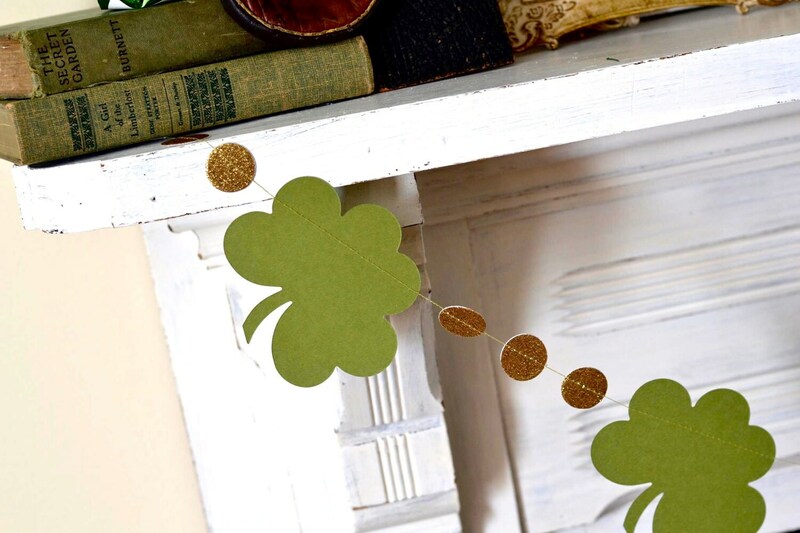 Each shamrock is 4.5" wide. The product was carefully packaged, received quickly & just as great in person as it was online.